While the teeth-straightening process is a long, costly and often uncomfortable one, people and especially kids are going to their orthodontists in a quest to get a perfectly shaped grin. While most boys and girls get braces between the ages of 11 and 14, it is recommended to have a checkup with an orthodontist by no later than age 7, when most children still have some of their baby teeth and their adult teeth have begun to come in. If they get in while they still have most of their baby teeth, the logic goes, the orthodontist might be able to detect and fix problems that otherwise might take years to correct. Orthodontists estimate that roughly 45 percent of children need braces to fix functional problems such as a misaligned bite, but up to 75 percent of kids could benefit from them to straighten their teeth and improve the shape of their face. Orthodontists commonly recommend dental braces to fight one of two problems: tooth crowding, in which the teeth are bunched together without adequate room for adult teeth to grow in, and jaw misalignment, which includes both an overbite (where top teeth extend way beyond the bottom teeth) and underbite (the lower jaw protrudes out so the lower teeth cover the upper teeth). While many people choose to treat these conditions (collectively referred to as malocclusions) for cosmetic and self-esteem reasons, there are a number of other real benefits to wearing braces. Straight teeth allow you to bite, chew and speak more effectively, and they are easier to clean. Straight teeth also take unnecessary pressure off of gums, which can lead to a healthier mouth. Sometimes a little tooth-pulling, otherwise known as serial extraction, is all that is needed to make teeth fall into place. This is where it could be really beneficial to take your child to the orthodontist when she is young: If the doctor is able to pull some baby teeth, it could create room for permanent teeth to grow into a less crowded mouth. 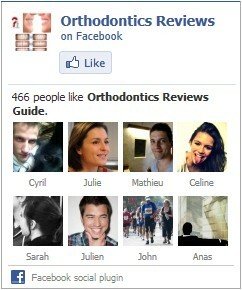 Although the world of orthodontics has changed with the times in many ways, some things, like braces, remain largely the same. 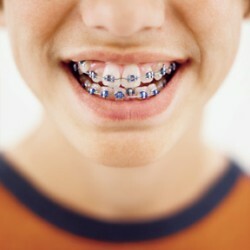 Chances are that if your child sees an orthodontist regularly, he will have braces at some point. A headgear is worn around the head and face to help correct jaw alignment problems. There is a large variety of devices, both fixed and removable, that fit into a child’s mouth to move teeth or change jaw position. The technical term is appliances, but kids will probably just call them retainers. Your child might have to wear a retainer to get his teeth ready for braces, but they are more often used (first around the clock, then just at night) to keep things in the right position after braces have done their work.